Full disclosure, folks — I’m a worrier. What’s been keeping me up at night lately? Unchecked financial optimism. 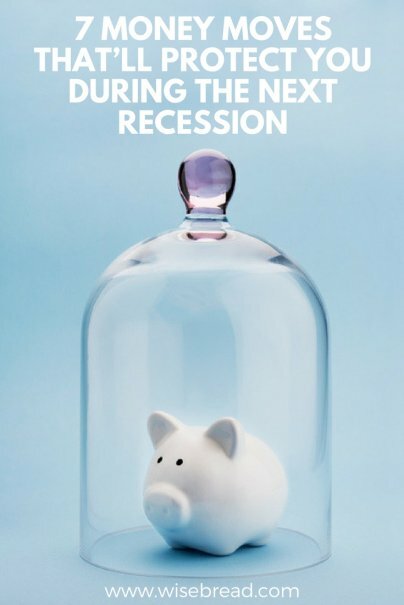 The Great Recession ended nine years ago and the bull market we’ve been enjoying since can’t go on forever. In fact, many economists think we’re overdue for significant contraction. If round two is even half as bad as round one, will you be ready? Here are seven money moves that’ll protect you during the next recession. Your job is your primary source of revenue, right? Anything that keeps your career running smoothly helps keep your financial life on track, too. With an up-to-date resume, you can take advantage of new opportunities now and launch a job search quickly in the event of a sudden layoff.